The Tilly Players present Fame, Jr.
Name: The Tilly Players present Fame, Jr. The newly formed youth theater group, Tilly Players, present their first production. 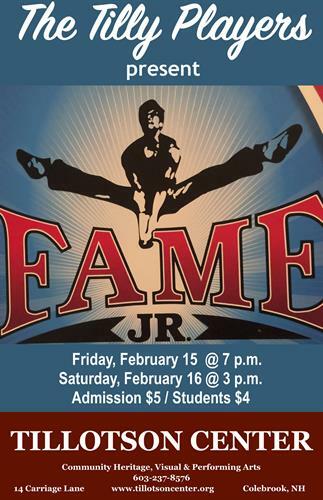 Fame, Jr. This musical is set during the last years of New York City's celebrated High School for the Performing Arts on 46th Street (1980-1984). Admission $5/ Students $4. Friday, February 15, 2019 / 7 p.m.